In the recent 2000s, there have been some sort of surge in Asian metal scenes, blasting out newer bands from extreme metal genres- mainly death, thrash and black metal bands influenced by early era death metal sounds. Singapore, Malaysia, Thailand, Japan has been the prominent Asian countries for the metal scene to breed. 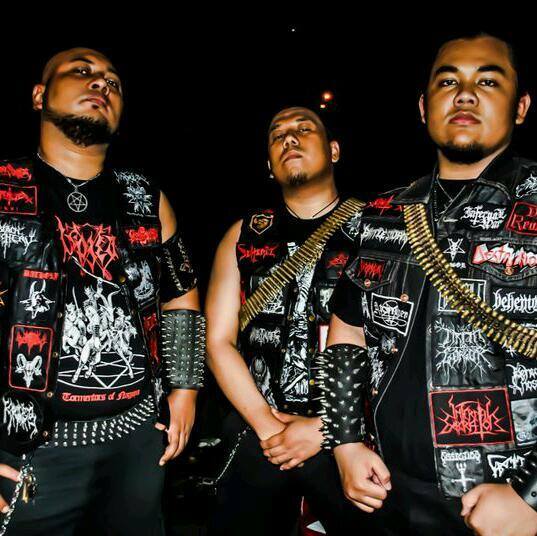 However, Singapore has been the center for Asian metal scene because of having many a great bands within its boundary, and of course the last half of 2000’s has been a boom for “Singahellian” extreme metal acts. Battlestorm, have been a significant addition to the Singaporean metal scenario, playing a blended style of death/black metal. Formed in 2008, the trio has released 2 demos, 2 split releases and a full length album. The band is set to release a new EP entitled “From Hell”. The release date is not fixed yet, as the band is still on search for a label to spread their hatred. 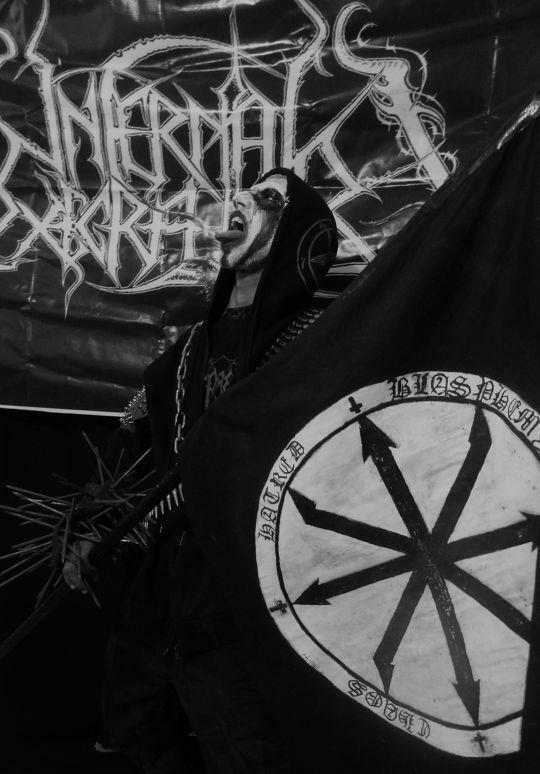 To describe the sound of the EP, as mentioned earlier, a blend of death and black metal, staying typical to the Singaporean death/black metal sound. So nothing new nor exceptional to hear on this EP. Faster, horrid death metal-ish riffs, torrent small solos- are frequent on this 5 track release. 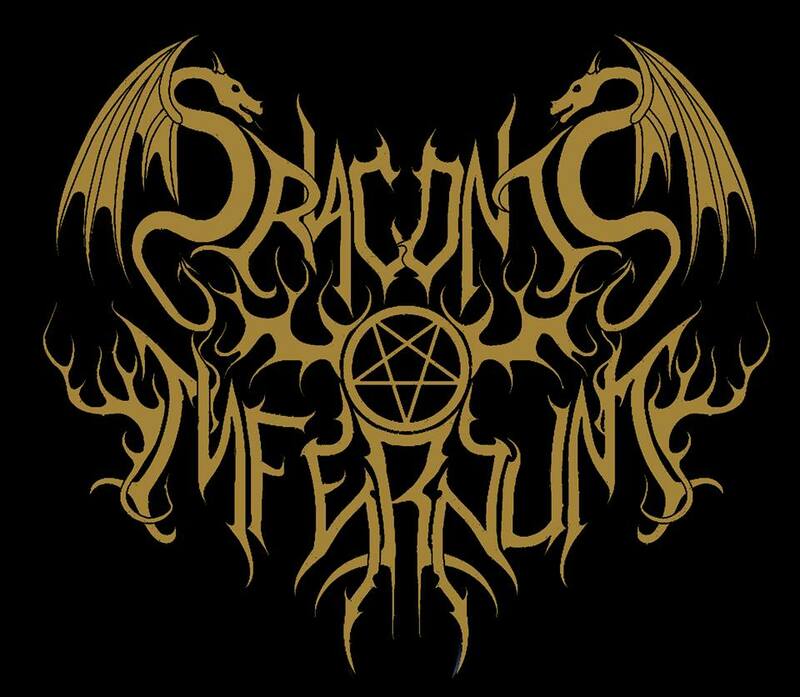 You can hear resemblance from Cannibal Corpse (intro of track Holy Jezabel), Impiety (on track From Hell), Infernal Execrator, Draconis Infernum, Zygoatsis and forth. Some thrash metal influenced melodies can also be heard on the track Thor-Crowned Carrion. The bass on the songs are lowered, which is absolutely alright for the type of songs are listening to, however the bass guitars support the songs pretty well. (Listen to Holy Jezebel). The drums are pretty solid, switching to blasts more often, you can basically hear all the techniques that can be embedded in black/death metal structures. So nothing to complain about the drums. The lyrics writing has been improved on this EP if compared to preceding releases. The songs tell about death, execution and anti-religion. The lyrical lines are spit out hatefully, although the vocals are standard screeching voices and not much varied. Production-wise, the album sounds strong and clear, no unnecessary rawness is intended on the release. The EP, ends with an exclusive Bathory tribute “War”. Battlestorm’s upcoming EP, From Hell, can’t be claimed as phenomenal or something extra ordinary, but it does exhibit some solid death/black textured extreme metal. Go for this EP if you are fanatic about Asian extreme metal. Highlights: From Hell – Second track from the EP’s setlist. Straightforward black/death decimation right on your ear. Crushing riffs, frequent shifts and varied drumming. Standout track on this EP.